TALLAHASSEE – Gov. 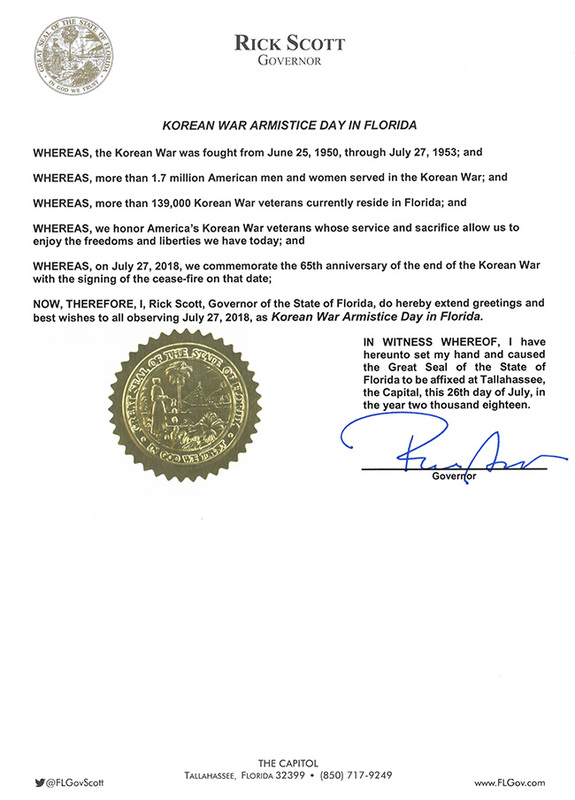 Rick Scott signed the annual Korean War Armistice Day Proclamation, honoring the state’s Korean War veterans and commemorating the 65th anniversary of the end of the war. More than 139,000 Korean War veterans currently reside in Florida. More than 34,000 Americans were killed in action during the war, with approximately 103,000 wounded and more than 7,800 missing, including more than 150 Floridians.